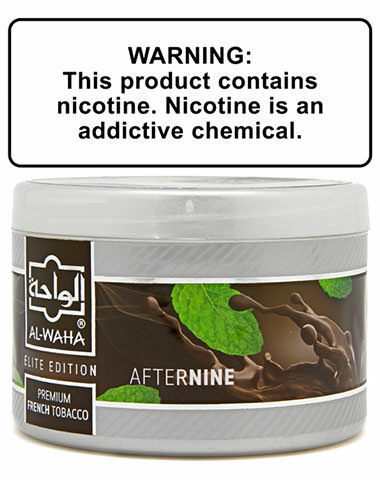 Reminiscent of mint chocolate chip ice cream, After Nine from Al Waha combines the creamy flavor of chocolate with the cooling effect of fresh mint to create this sweet, dessert flavor. Perfect for an after dinner smoke! After Nine Al Waha Shisha Tobacco has a average rating of 0 stars out of 5 stars based on 0 reviews.